Pick your length! From 2 to 48 inches! 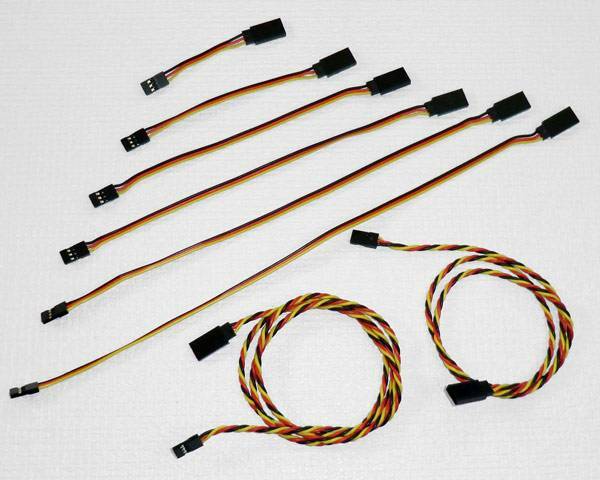 We are pleased to offer heavy duty servo extensions that feature 22AWG wire and gold plated pins. These are not your normal cheap servo extensions. Available from 2" all the way up to 48"!! Extension sizes marked "twisted" feature twisted wires for added protection against RF interference.